Reward yourself with Argos credit today if youâ€™ve been faring well on Bananatic. With Bananatic, the more successful your gaming ventures are, the bigger the rewards become, so why not see if youâ€™ve built up enough points for Argos 25 GDP UK for free right now? All is not lost if you donâ€™t quite have the points you need to get Argos 25 GDP UK for free as you may still be able to get the credit by entering our Bananabet lottery. 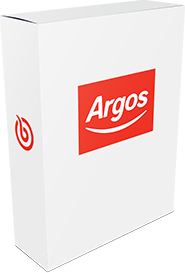 See how many points you have right now if you could use a Â£25 Argos voucher.